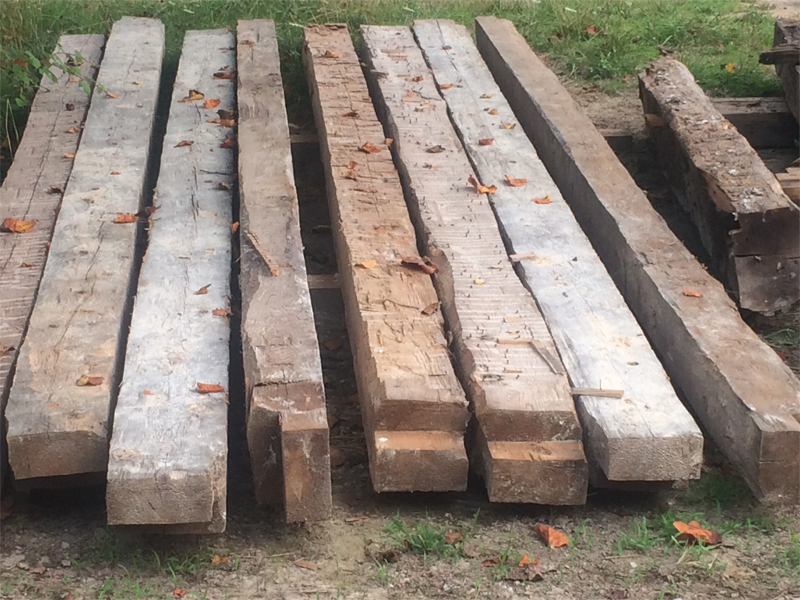 Our reclaimed beams either come in their original form or from resawn timbers that we reclaim from barn or larger buildings. Original Form: These are reclaimed from original log houses, timber frame houses or mid 1800’s balloon framed houses. Mostly 16 to 24 feet 4 x 6 or 6 x 8 or 2 ½ x 7 ½. They can vary quite a bit. Resawn: We have the capacity to resaw just about any size from barn logs or timbers from other buildings. Logs: Most larger beams are used as is or can be fine tuned by a bandsaw to the desired size. These are used for either floor joist, girders, summer beams or supports in any remodel or new construction. Our clients who purchase our reclaimed wood beams are located throughout Virginia, Shenandoah Valley, Washington DC, Northern Virginia, Greater Metro Area, Baltimore, New Jersey, New York and up and down the East coast. Give us a call to check out our current inventory.